­The Italians have left most of their first choice players on the bench for a clash with the event’s rookies, but the game at Trafalgar Park in the city of Nelson still turned into a rugby master class. The Russian coaching staff stressed that attack would be the best form of defense against the Italians, and the Bears followed that plan from the start. Russia dominated territory and possession at times, but more-experienced Italy were merciless in exploiting their rivals’ mistakes at the back in what was a very open match. 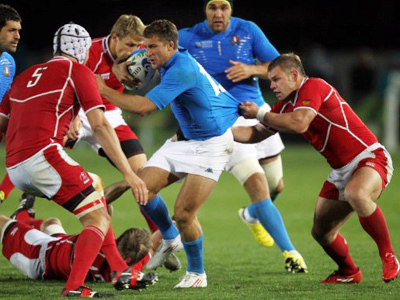 Tommaso Benvenuti and Giulio Toniolatti scored two tries each, to help Italy finish the night with nine tries and collect the much-desired four-try bonus point. But Russia were seeking a way to solve their own issues in this one. 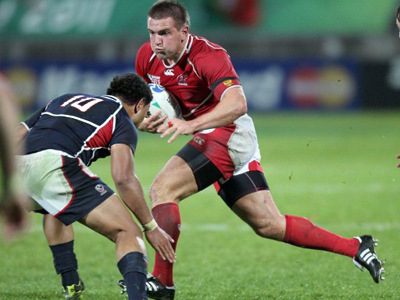 Aleksandr Yanyushkin came to the pitch as a sub in the middle of the opening half, and several minutes later, the scrum-half got his country’s first ever try in the Rugby World Cup. Two more tries from Vladimir Ostroushko and Aleksey Makovetsky followed after the break as the Bears stopped just one step away from a bonus-point of their own. 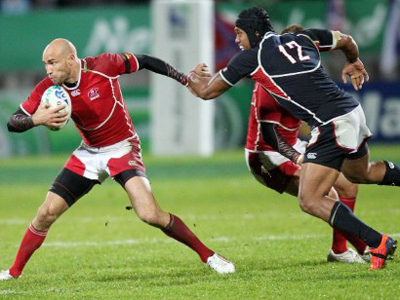 Italy’s captain Sergio Parisse praised the Russian efforts after the game. "I was very happy with the way we started the first half but then we got a bit loose. 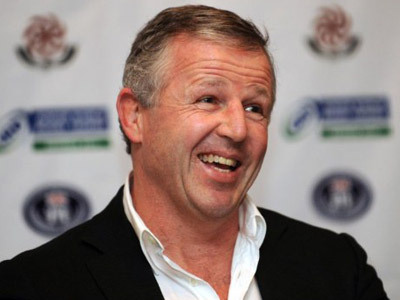 Russia ran hard at us, kept the ball and played some nice rugby," he told Reuters news agency. It was Russia’s second defeat in as many games in New Zealand, with Nikolay Nerush’s men losing to the US 6-13 in the opener. Next up for the Bears are Pool C leaders Ireland, with the game scheduled for Sunday, September 25.